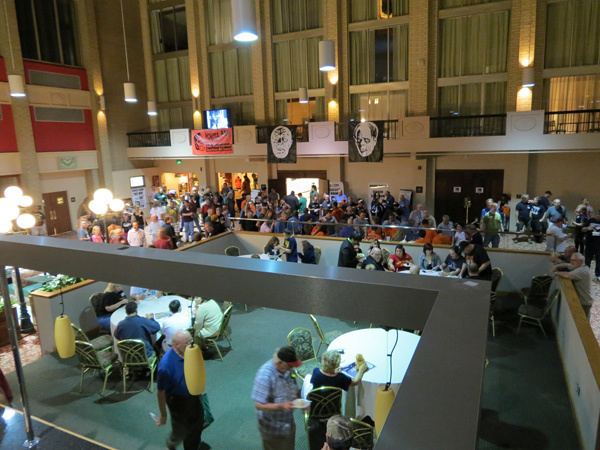 Photos provided by Phil Smoot, John Sargent, Bob Dix, Ted Lewczyck, Dan Day Jr., Clifton Curtis, Malcolm Gittins, Theron Statler and others - thank you! 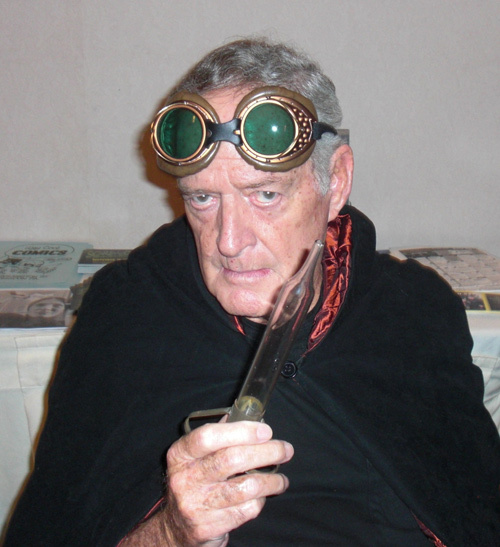 Robert Dix's latest acting role in THE FALL OF THE HOUSE OF USHER, a stage show brought to life at Monster Bash by Zach Zito. 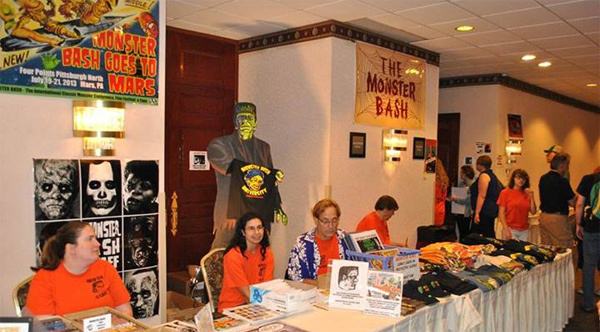 A Munsters reunion at Monster Bash! 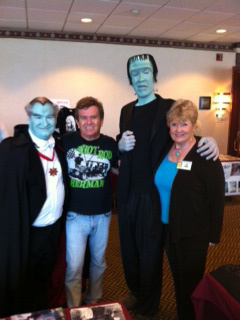 It's Ted Lewczyk as Grandpa Munster, Butch Patrick (Eddie), Thom Shubila (as Herman Munster) and Pat Priest (Marilyn). Make-up by John Tatarelli and Reel Magik. 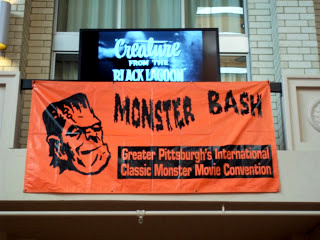 The big Bash banner hangs from an interior balcony in the monstrous lobby at Monster Bash. 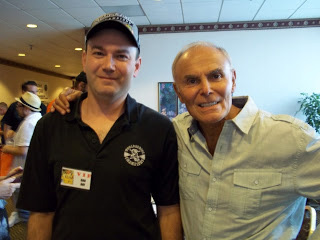 Dan Day, Jr. just hanging out with actor John Saxon at Monster Bash 2013. 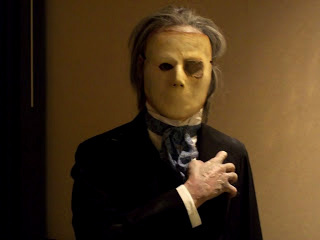 The incredibly life-like wax figure of Herbert Lom as THE PHANTOM OF THE OPERA. From the Bill Luciani & Tony Pitocco collection, displayed at Monster Bash. Welcome to Monster Bash! Geeting fans from almost every state in the nation it's, left to right, Alice Rader, Ursula Adams and Todd Spidle. 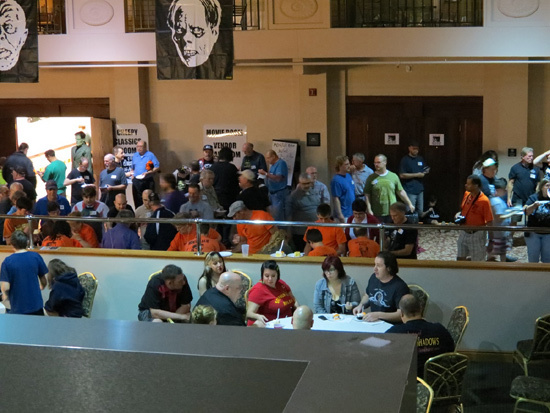 The "Hunchback Gang" re-enacted the whippig scene in the Monster Bash movie room as the Chaney classic played on the big screen behind them. 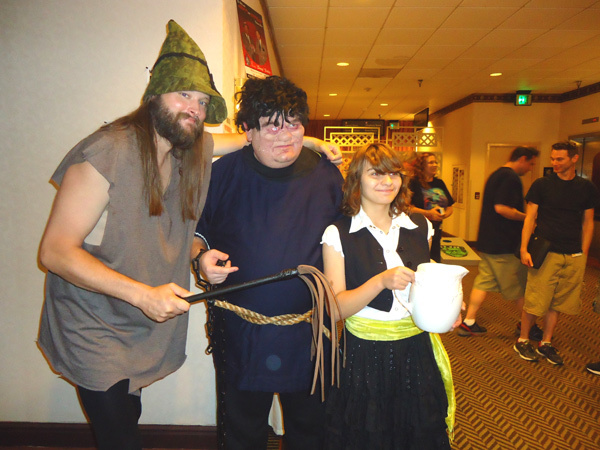 Pictured here is "Whipping Officer" Dan Weber, "Quasimodo, the Hunchback" portayed by Leonard Hayhurst and "Esmerelda, the Gypsy" was Paisley Adams. Make-up by John Tattarelli, Jr. and Reel Magik. 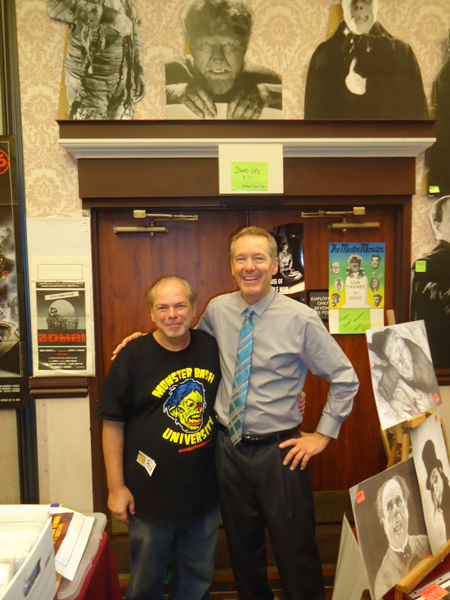 Attendee and Super Monster Fan, Malcolm Gittins with Ron Chaney. 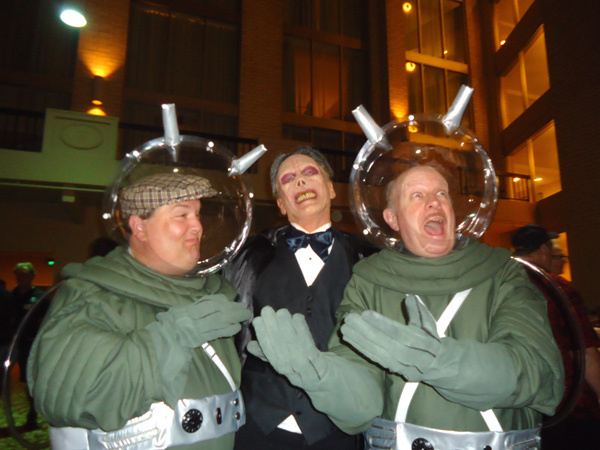 "ABBOTT & COSTELLO MEET THE PHANTOM OF THE OPERA" only at Monster Bash! 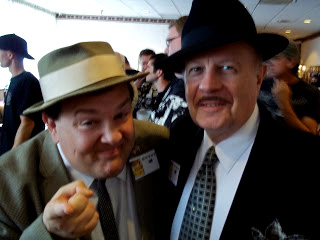 Lou Costello (Joe Ziegler), The Phantom (Ron Chaney in make-up by John Tattarelli, Jr. and Reel Magik), and Bud Abbott (Bill Reiley). All smiles, it's actres Veronica Carlson with Monster Bash attendee, Theron Statler. 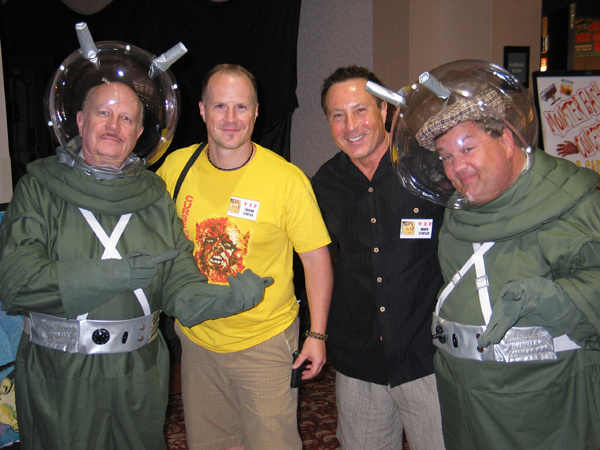 When alternate universes meet: Abbott & Costello and The Statler Brothers (Theron & Mark). 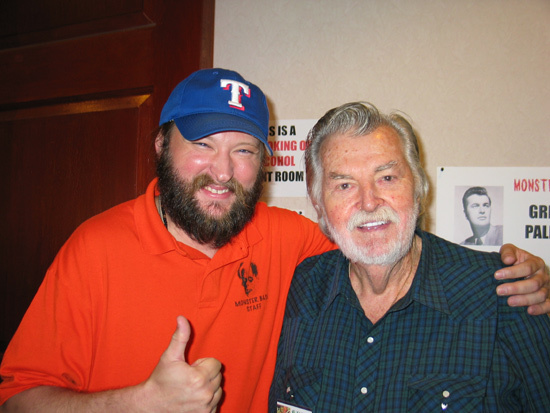 Monster Bash's Dan Weber gives a huge "thumbs up" with meeting actor Gregg Palmer. 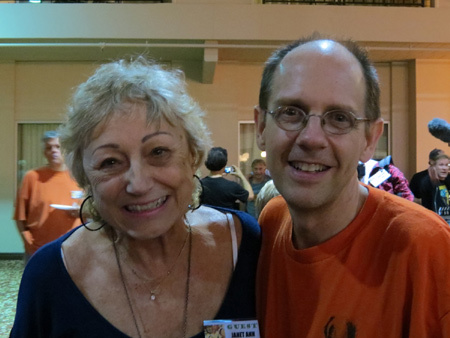 Actress Janet Ann Gallow with Theron Statler. 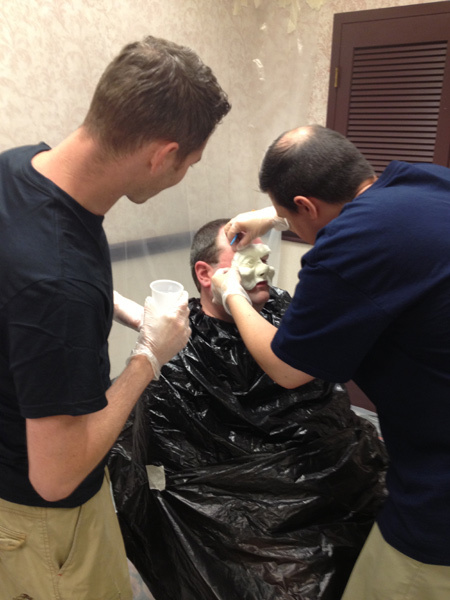 The Monster Bash Make-Up Team of Jesse Melchior (left) and John Tatarelli, Jr. (right) work on transforming Leonard Hayhurst into THE HUNCHBACK OF NOTRE DAME! 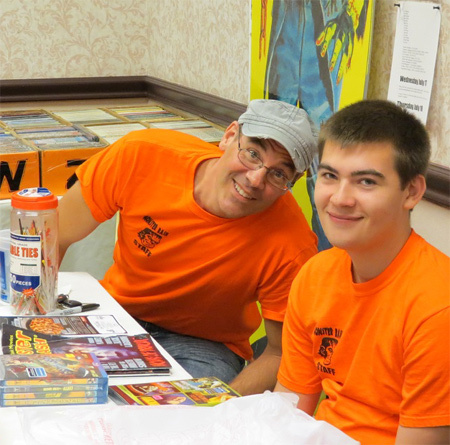 Monster Bash's Mike & John Adams in the Creepy Classics Room at Monster Bash! 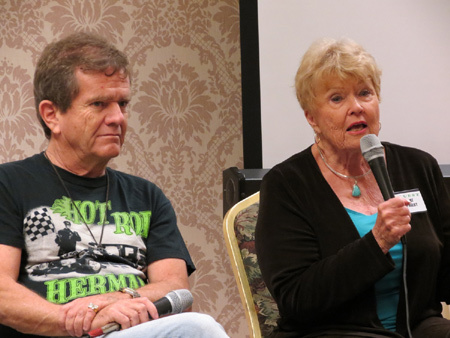 Butch Patrick and Pat Priest field questions on The Munsters from the audience. 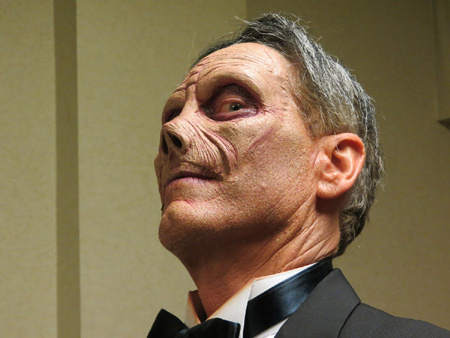 Ron Chaney as Erik, The Phantom of the Opera....make-up by John Tattarelli and Reel Magik. Janet Ann Gallow and Ron Adams at the SAturday night celebration of Janet Ann's birthday bash. The traditional free cake for Monster Bash attendees on Saturday night! 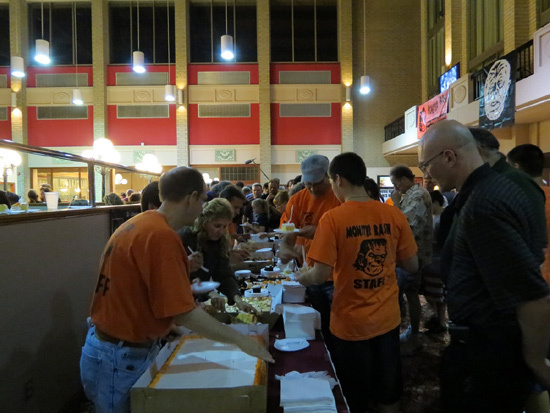 The line just kept going with five GIANT sheet cakes all going quickly! The fans kept puring out ino the lobby fpr more Monster Cake.